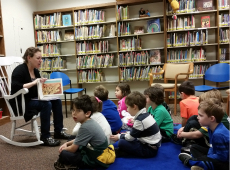 Last month I wrote about the new books we added to the Rabbi Dudley Weinberg Library, but the list was so long I had to divide it. Here is the remainder of the list, which includes titles that have just been published and other, older titles that deserve a place on our shelves. Moving Kings by Joshua Cohen – Two young Israeli war veterans come to New York to work as movers, but they cannot escape the trauma of their recent past. Dinner at the Center of the Earth by Nathan Englander – The author, a Pulitzer Prize finalist, writes a political thriller that takes place against the backdrop of the Israeli-Palestinian conflict. The Rules Do Not Apply: A Memoir by Ariel Levy – The author’s life falls apart in a month’s time in this chronicle of grief, ambivalence and estrangement. This Close to Happy: A Reckoning with Depression by Daphne Merkin – famed novelist Daphne Merkin writes honestly and vividly about her life-long struggle with sometimes debilitating depression and a problematic relationship with her old-world, German-Jewish parents. The Fortune Teller’s Kiss by Brenda Serotte – Serotte recounts her poignant and yet hilarious life growing up a Sephardic Jew in the Bronx of the 1950s. A Blessing on the Moon by Joseph Skibell – This exquisitely written fable, inspired by the Holocaust, has a power that will linger with you long after you turn the last page. Leaving Lucy Pear by Anna Solomon – Set in 1920s New England, this is the story of two women who are mothers to the same child. A Gentleman in Moscow: A Novel by Amor Towles – Wealthy Count Alexander Rostov, arrested by the Bolsheviks for writing an “incendiary” poem, is under house arrest at the famed Metropol Hotel in Moscow. Nonetheless, he manages to live an absorbing, adventure-filled life. My wishes for a very happy secular New Year to you and your loved ones. Are you a member of a book club? What do you do with the bestsellers after you discuss them? Are they collecting dust on your shelves or piling up on your nightstand? Do you like to buy real books? Do you like to be the first one on the block to read a book as soon as it’s published but don’t want to give it a permanent home? Has a friend given you a must-read book and told you not to return it? The Rabbi Dudley Weinberg Library Can Help You Out! We are looking for new or gently used hardcover bestse llers of interest to the Jewish reader.We promise to offer them a good home and to make sure they “get around.” Thanks for donating your good books to the library. You can drop them off at the Lifelong Learning Office. *Please note that we are interested only in recent bestsellers. Contact Paula Fine at librarian@ceebj.org if you have any questions. 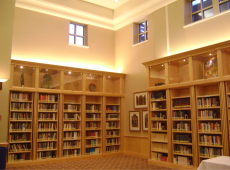 All of the library’s extensive holdings, including children’s books, fiction, non-fiction, classic Jewish texts, best-sellers, biographies and reference are at your fingertips. Go to the online library catalog now. If you are in the CEEBJ building and using the Wi-Fi network, then click here to go to the library catalog. On the Library Search page, in the “Find” box, type in a search term (a keyword, the title, the author, or the subject) and click on the appropriate icon just below the “Find” box. A Search Results page will be presented showing you what material is available, the call number, the number of copies the library owns and if the material is currently on the shelves, has been checked out or is on reserve. 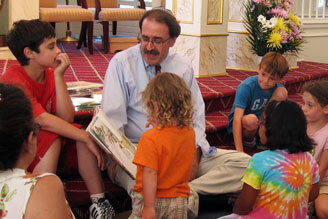 To reserve a book and arrange for pick up at the synagogue, call the synagogue office at (414.228.7545). For more information, contact Paula Fine, Librarian at 414-228-7545 or librarian@ceebj.org. Sunday mornings 9:30 to 11:30 a.m. Calling All Seriously Overdue Books! Please Come Home to the Library Shelves! No Questions Asked! We are trying to locate missing books that were checked out the old-fashioned way (by hand), and were not recorded in the computer. We’ll be sending out overdue notices soon. If you receive one, please check your bookshelves, car, office …. any place where the book might be hiding. It doesn’t matter how long you’ve had the book; we’ll just be happy to have it back. We promise, no questions asked and no guilt-inducing looks from the library staff. However, if the book is lost, we ask that you remit the price of the book so we can replace it. Please remember that you can request a book or renew it by calling the office. To access the library catalog, simply click on the link just above. We’re adding new books all the time now. Check us out.